Cartoonist, designer and toy enthusiast Sean Kenney is set to unveil his craft in Minnesota this week with his brand-new LEGO themed exhibit, titled “Nature Connects: Art with LEGO Bricks”! 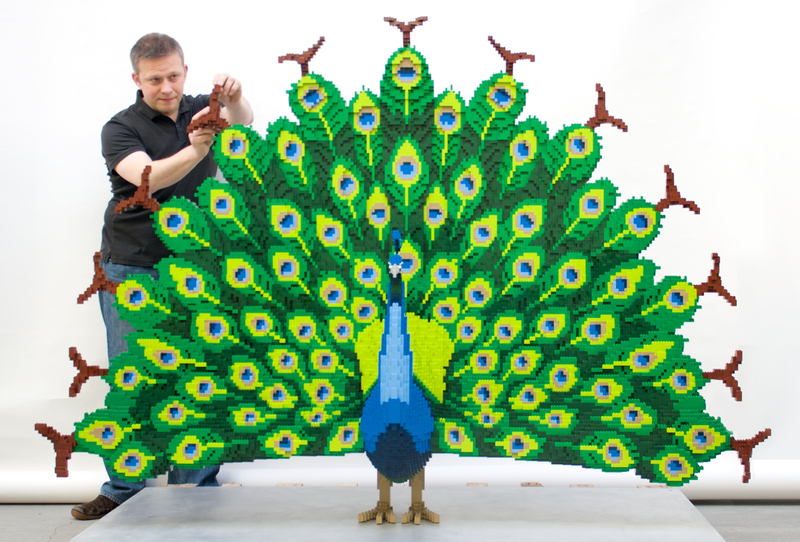 Kenney, who has worked as a LEGO artist for the past decade, will be showing off his installation pieces this Friday, May 15th, at the Minnesota Landscape Arboretum in Chaska, Minnesota. 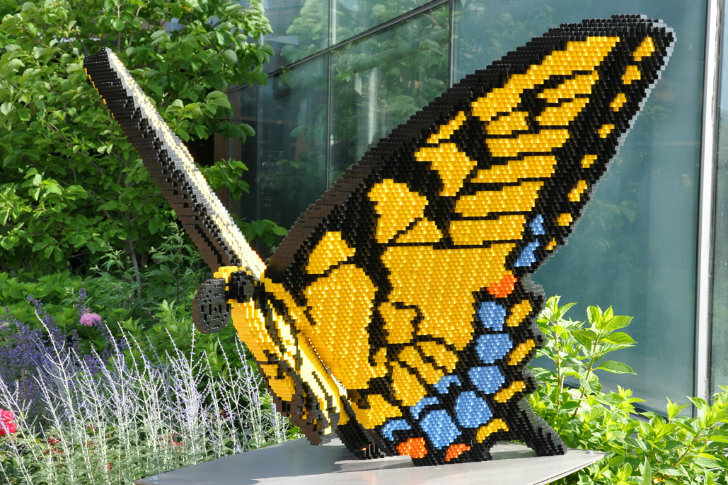 The collection is part of Kenney’s traveling collection of LEGO installations, and will feature 26 of his works, focusing on a nature-inspired theme to harmonize with the Arboretum’s environment. Some of the works are so large that they require a steel inner framework in order to keep them stable! The show will be open until August 30th, and will host hands-on events and activities throughout the duration of the exhibit.